This certificate is essential for all participants in School Surfing activities and also highly recommended for Teachers who take children to the beach, also as a prerequisite for anyone interested in surfing or taking part in a Learn to Surf program. 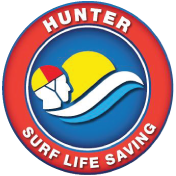 The Surf Survival Certificate Course is conducted over 2 days. Day one Theory in the classroom. Day two Practical is held at Stockton Beach. All participants completing the course will receive a Nationally Accredited Certificate. Pre – requisites: 150 metre swim. There is a minimum booking of 10 students for this course.